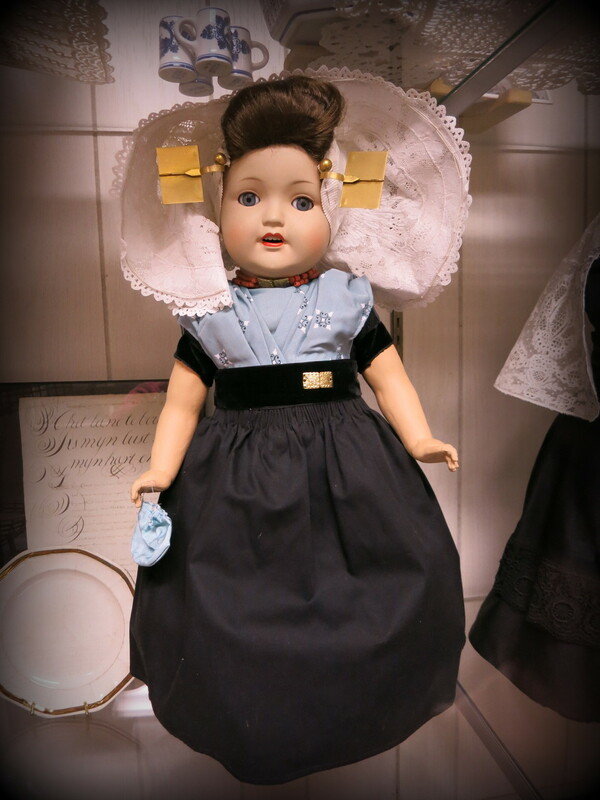 This lovely Dutch doll was donated to the museum from Vancouver, Washington. 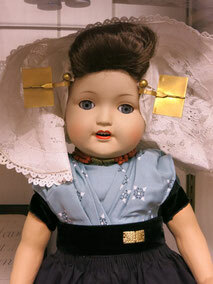 The doll is 24-inches tall and was made in the 1960s. She is wearing an authentic dress worn by the women of Krabbendijke, Zeeland, The Netherlands. The local women wore this dress as their daily-ware until some time in the 1950s. 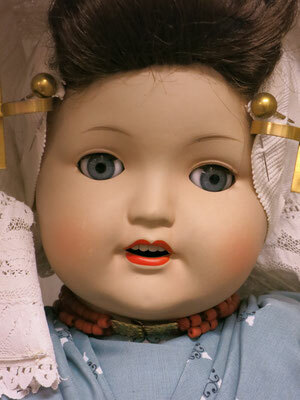 Note from donor: At the time my mother bought the doll for me, there was only one woman alive who could still make them.